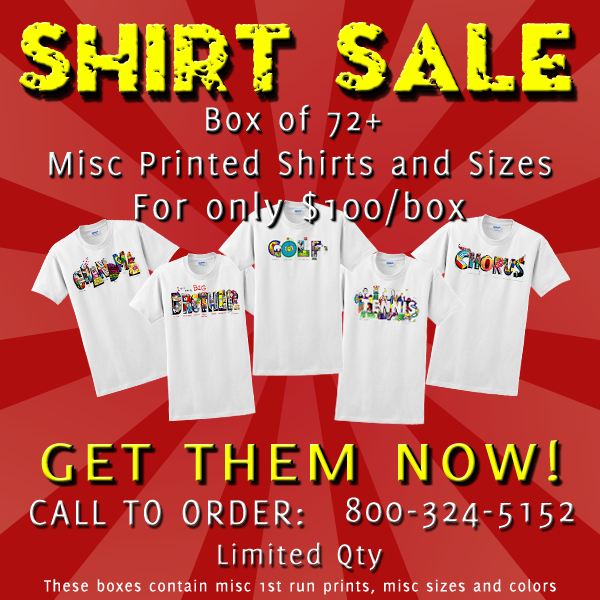 RockSports is selling boxes of shirts a minimum of 72 pieces/box for $100/box. The shirts in each box are 1st run misc. 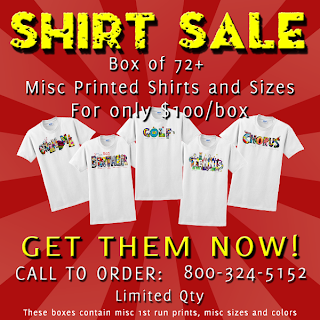 printed shirts, misc colors, misc designs, and misc sizes. Quantity is Limited so call now to purchase! Use code BLGBX20 for 20% off.